The Cheryl and Philip Milstein Center for Teaching and Learning at Barnard College will be opening for the fall semester this month! Designed by the award-winning firm Skidmore, Owings & Merrill, the 128,000-square-foot building features a bespoke building envelope, clad in custom patinated zinc shingles and high performance glazing. The natural earthen tones and color variation of the zinc interweave with linear strips of glazing to create a modern facade that elegantly fits into the historic Barnard quad. The building envelope was constructed with Island’s custom curtainwall platform and was completely shop fabricated in Island’s New York facility. 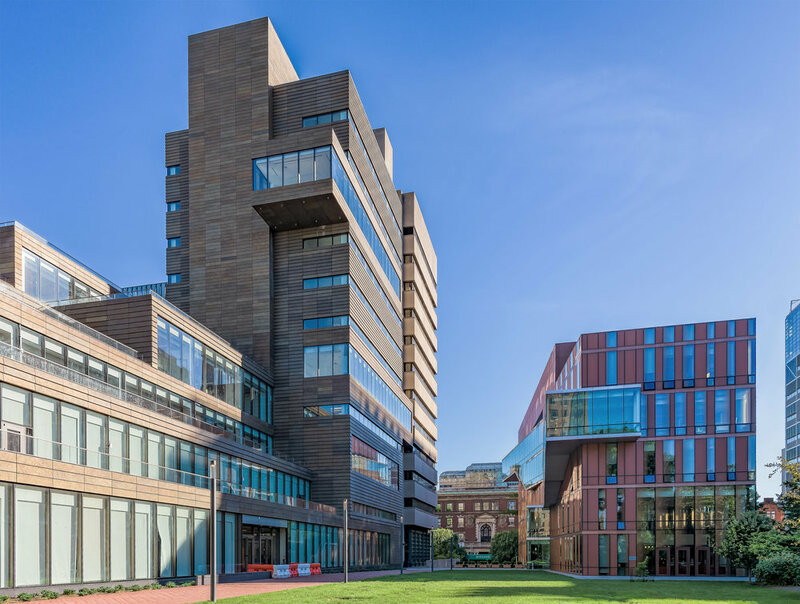 The benefits of prefabrication eliminated the need for multiple trades on site and enabled the project team to meet the tight construction timeline and logistics required for a new academic building on an active New York campus. A big congrats to Turner Construction, with whom we have had the pleasure of completing several projects, on job well done. Images courtesy of Urban View Photo. The construction phase is ending at the Milstein Center at Barnard College. Island raced to complete the Load Bearing Building Envelope project in Bronx New York – 1880 Boston Road.